Every summer at Stationers’ Hall in the centre of London, there’s a day of creative celebration. 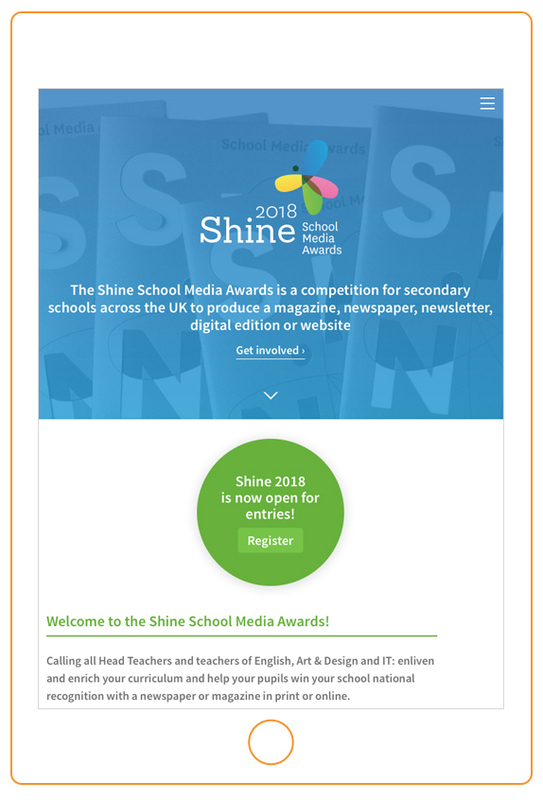 The Shine School Media Awards rewards the talent of secondary school students around the UK who are working, sometimes entirely outside their schooldays, to better themselves and forge the path to their future career. We’ve been a contributor to the Awards programme now for five years, giving our time to this fantastic endeavour. It’s a great portfolio example of our work when we design for charities. We’ve recently completed work on the first phase of a new project for our long-time property management client London Base. The team had a requirement for an imaginative solution to how to present the detailed information that comes with each apartment. This could be from the mundane such as wifi passwords or how to operate an air conditioning unit to something a little more trip-enhancing such as cultural information about the neighbourhood. Having worked on a series of menu design projects recently we had seen some prototypes of the sort of custom design folders that many luxury hotels use. These are leather-bound, hard-wearing and still very beautiful. With this in mind, we pitched the idea of this sort of folder to the London Base team. We’ve just completed the layout and artwork of a long handbook – proving once once more that print is very much alive and kicking. People love reading a physical object, so where it’s needed digitally, it just finds different ‘ways of being’. In this case, we have a book which has an initial print run then will be used in tandem as a digital publication. Our client for this has been FAB – the Federation of Awarding Bodies. FAB is the leadership team that guides further education awarding organisations in the UK. FAB works across the FE sector – including government departments, regulators and funding agencies. The first creative project for FAB is a classic example of print design for further education – a dedicated handbook for its members. It’s turned out particularly nicely – and is a great example of detailed, user-friendly information design.